All Time Safaris, Your East African Tour Company for the ultimate Safari experience wish to extend a very warm welcome to all our visitors to East Africa, once described as the Origin of Man Kind, where we trust you will be afforded the safaris that will both excite as well as educate you about the treasures and secrets of predominantly rural Africa. All Time Safaris is company run by professionals with combined experience of over 20 years in every aspect of the tourism industry. All our directors are graduates from famous universities in Africa, our main dream and objective is to deliver quality services to all our clients. All Time Safaris is a premier tour company offering a wide selection of tailor-made safaris designed and arranged with our visitors' unique interests in mind. If your specific safari is not featured in this website, please contact us to see our other offers. We trust you will find this website captivating while at the same time providing all the information you need to book a safari with us. If you should require any further information on any subject either covered herein or not please feel free to email us at the contacts at the bottom of this page. At All Time Safaris, we aim to continually improve on the level of services we offer and therefore value all our visitors comments through our feedback suggestion facility, please let us know how you feel about the delivery of our service to you. 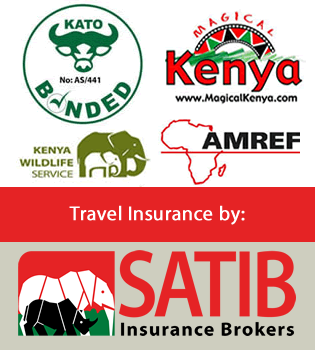 Finally we wish you a good value- for- money safari of a life time. We have no doubt you will have a memorable time with All Time Safaris as we take you to the many unbelievable attractions around East Africa region. We have endeavored to instil this attention to detail in all aspects of our safari operations, which are managed with first world efficiency despite the limitations that remote travel in the African bush can characterize. Our safari guides and crews are handpicked and trained by us to instil the respect for environment, client welfare and customer satisfaction is our main goal. Our vehicle fleet is maintained to ensure optimum operation standards. Each vehicle is equipped with VHF radios and mobile phones to ensure undeviating contact with our safari headquarters. Custom-built four wheel drive Extended Toyota Land Cruisers & Minivans are fully-equipped with radios, a library of reference books, first aid kit, binoculars and other amenities for comfort and safety. Our safari programs ensure that this cultural and natural heritage is preserved for future. Our portfolio captures the essence of adventure. Check out some of the great safari packages on our Safaribookings page. Get a chance to book online direct. Yes! we shall respond to all tour requests within 24hours, no execuses. We have a good rapport with most suppliers, thus guaranteeing you best prices in best camps, lodges and hotels. 32 Gershwin Circle, Newark, Delaware 19702. 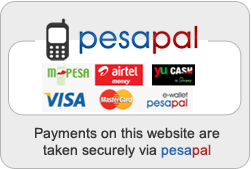 Give us a call on +254 722 782256 | +254 722 706584 or fill in the form below and we’ll be in touch. I'd like to receive the All Time Safari Specials & Deals.